You are here: Home / News and Events / Is the May 13, 2013 Election a Non Working National Holiday? Is the May 13, 2013 Election a Non Working National Holiday? The May 13, 2013 Elections is just a few weeks ahead, so expect the heat of the political rallies, sorties and debates to soar up. This election, Filipinos will vote for 12 new Senators, plus various Provincial, District and Town officials. There is an estimated 52 million Filipino registered voters and a huge chunk of this is expected to participate in choosing the next leaders of our country and home towns. However, many of these voters might have problems for May 13, 2013 falls on a workday, Monday. Many Filipino voters still register in their hometowns, thus making it difficult for those working in big cities like Metro Manila to go home and vote in their respective provinces. Aside from the travel time, money poses an issue, for they feel that 1 day is not enough for thier home coming.. Hindi sulit or bitin, wika nga!! To help people exercise their right to vote, Malacanang has declared last Tuesday that the May 2013 election day be classified as a Non Working Holiday. This was made official when President Aquino signed Proclamation No. 571 s.2013. This will surely help make the election more successful for there will be a greater chance of a good voter’s turn out thanks to the proclamation. Since election day will fall on a Monday, people will get excited to come home and spend a long weekend with families and friends. This will also let others rest for the day and concentrate more on flexing their right to vote rather than spend time doing office work. Do you get paid during a Non Working Holiday? Most of the time, a Non Working Holiday is a no work no pay holiday unless your company have a different policy. For people who will work on Non Working holidays, expect some incentives like a 30% raise on your day’s wages. A. If the day is un-worked, the ‘no work, no pay’ principle shall apply unless there is a favorable company policy, practice or Collective Bargaining Agreement (CBA) granting payment on a special day even if the day is un-worked. C. If the day falls on the employee’s rest day and is worked, he/she shall be paid an additional 50 percent of the daily rate of 100 percent on the first eight hours of work. In excess of eight hours, he/she shall be paid an additional 30 percent of the hourly rate. This May 13, 2013, go out and vote. Don’t waste your right to choose you think is right to lead our nation!! 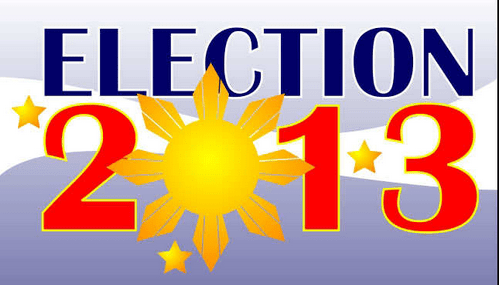 Watch out for the 2013 Cebu Election results and winners!!! For more current event news, travel and food blogs and other exciting topics, please Like us on Facebook at We LOVE Cebu!! !